Chicago attorney Flint Taylor, one of the founders of The People’s Law Office, has been fighting police misconduct in Chicago for more than 50 years. He represented the families of Black Panther leaders Fred Hampton and Mark Clark, who were killed in a shootout with Chicago police in their apartment in December 1969. 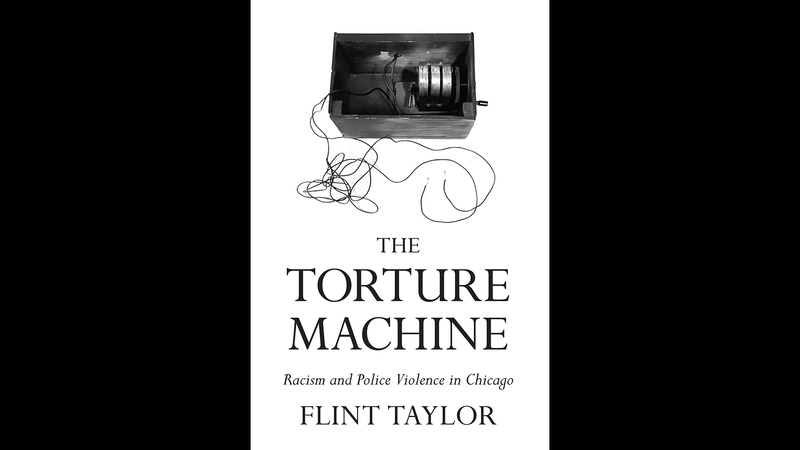 And for years, Taylor pursued police Commander Jon Burge, the leader of a torture ring within the Chicago Police Department. At the time of the Black Panther raid, the People’s Law Office had only been in existence for a few months. Taylor said that case would set the course for his career. Cook County State’s Attorney Ed Hanrahan claimed that police had fired in self-defense, but when Taylor and others arrived, they found evidence that contradicted Hanrahan and which would eventually lead to a successful civil suit on behalf of the families of Hampton and Clark. The most high-profile case the People’s Law Office has worked on, and the one they have worked on for 32 years, is the police torture scandal involving Burge. Taylor makes the case that the blame goes beyond a handful of police officers. “It wasn’t just some rogue officers or detectives who were doing this, but it went to the highest levels of the Chicago machine – in the police department, in the states attorney’s office, in the mayor’s office,” he said. After thirty-one years of fighting against police torture, I took a moment to look back. The Wilson cases had come full circle, from our struggle to fight and win Andrew’s case to using the evidence uncovered in that case and in those that followed to free Jackie, decades later. Collectively, we had accomplished numerous exonerations; obtained more than $40,000,000 in settlements, verdicts, and reparations for more than sixty torture survivors; played an important role in Jon Burge’s firing and conviction; and contributed to the ultimately successful struggle to abolish the death penalty in Illinois. As important, we had joined with many others over those three decades—courageous torture survivors, dedicated citizens and activists, families of torture victims, fellow attorneys, political allies, and intrepid reporters—to use our roles as lawyers to help change the narrative. Together, we changed the story from the solitary cries of an unheeded, convicted “cop killer” in 1982 to the accepted truth, locally and internationally, that there was a racist pattern and practice of police torture that reigned for more than twenty years in Chicago; encouraged, condoned, and covered up in the highest halls of power, from police superintendents, state’s attorneys, and judges to the all-powerful Daley machine. The cost of the torture scandal, and the wallets of our opposing counsel, continues to grow. According to public records, which I have obtained and updated each year since 2005, the scandal had cost city, county, and state taxpayers $140,000,000 by the end of 2018. The federal tab for investigating Burge and his confederates and for prosecuting Burge was an additional unknown amount. Burge had collected about $900,000 in pension money, and Chicago police officers implicated in the torture scandal had collected an additional $31 million in pensions, pushing the still mounting total past $170,000,000. Of this total, Chicago has paid $31.6 million to outside counsel to represent the City, Daley, Burge, and company, the majority of which has gone to line the pockets of the Dykema firm, as well as those of Andrew Hale and Jim Sotos. Hale, who wormed his way back into the city’s good graces after being disgraced for tendering prejudicial information to the Oscar Walden jury, was representing Burge, Byrne, and Dignan in the Smith and Wrice cases. He has reaped a total of more than $33 million in taxpayer funds defending alleged torturers and other assorted police miscreants, while Terrence Burns and his Dykema buddies have made more than $20 million representing Daley, the City, and its policymakers in these cases. The County has quietly expended $16.5 million of the total: more than $7,000,000 went to Egan and Boyle for their whitewash investigation and report, and another $6 million has gone to Mike O’Rourke and the next wave of special prosecutors. On the other side of the ledger, the torture survivors have to date wrested $93,000,000 in verdicts, settlements, and reparations from the City, County, and State. A decade after Steve Whitman made his projections, the high-end $195 million estimate of the potential cost of the torture scandal had appeared on the horizon. Diverging assessments of Burge’s legacy have been a lightning rod that further polarized the long-tense relationship between the mostly white Chicago Police Department and the black and brown communities it patrols. Burge’s conduct and the subsequent department cover-ups are a seminal scandal in that history . . . the widespread impact of the allegations against Burge included questions about the conduct of former Mayor Richard M. Daley, who was Cook County state’s attorney in the 1980s when much of the alleged torture took place, and former state’s attorney Richard Devine, whose office opposed inmates’ allegations of torture. Burge’s torture box rests on the bottom of Lake Michigan, and Deep Badge’s identity may never be known. But the fight against police torture and violence is far from over. The complete Chicago police torture narrative traces an unbroken line of white supremacist violence from slavery, Black codes, convict leasing, and lynching to Jim Crow laws and police torture in Chicago. Torture is baked in to Chicago’s law enforcement agencies and its judiciary, and has been condoned and covered up by politicians at every level, in every party. Dozens of survivors of Burge’s cabal and other victims of police coercion remain in prison on the basis of tortured confessions. Special Prosecutor O’Rourke, still beholden to the Fraternal Order of Police, is pursuing what promises to be a frivolous appeal in Jackie Wilson’s case. People of color continue to be brutalized, unjustly imprisoned, shot, and murdered by law enforcement in Chicago and across the country. Those who continue to fight for the constitutional—and human—right to a fair hearing, free from torture and brutality, encounter added resistance from the public’s short attention span and a desire on the part of politicians for “finality,” to put the torture scandal “behind us.” The truth is that it will never be “behind us,” and Chicago’s collective conscience will not be cleansed, until and unless the City of Broad Shoulders, and the nation as a whole, reckon fully with the systemic racism of law enforcement, of the criminal courts, of mass incarceration and the death penalty, and of the political power structure. Until then, la luta continua: the struggle must continue. Copyright 2019 Flint Taylor, published by Haymarket Books.